Already distancing themselves from Nu-Metal, Slipknot never really deserved to be classified in such meagre terms in the first place, their second album, Iowa, was the world-conquering record that put Slipknot firmly on the map and in the minds of Metallers everywhere. Iowa showcases a band who had exploded onto the scene with their thrilling debut but were already on the brink of implosion; the stresses and strains of accommodating 9 individuals all with a vision of their own proving as volatie and violent as their music. The result was an album that positively reeked of pent-up rage and disharmony but it is exactly that which makes Slipknot such a thrilling proposition. Fundamentally, Iowa is a Death Metal album (purists may balk at this description but there are Death Metal riffs aplenty) and one which made it to Number 1 on both sides of the Atlantic; a feat virtually unheard of for music so unrelentingly anti-establishment. From “People=Sh*t” to “My Plague” and “The Heretic Anthem”, the band obviously live and breathe their music like no other, committed 100% to the cause and primed to take no prisoners. 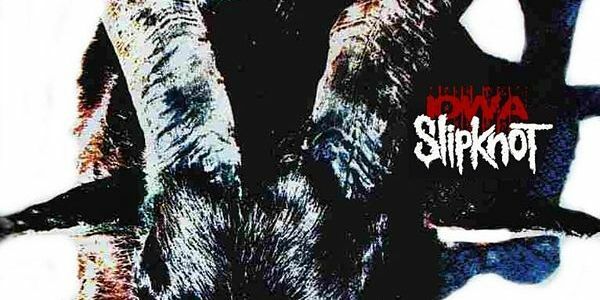 In an era which saw identikit bands peddle the same boring, angst-ridden dirge, Slipknot were a putrid blast of not-so-fresh air which revitalised Heavy Metal and bought mainstream acceptance along for the ride; quite the achievement, quite the album.